Congratulations to all of our May giveaway winners! Burkley got another pair of Skivvies for Christmas this past year. We asked for more because we loved them so much! Super Skivvies are the original convertible cloth training pants that come complete with inserts. Steph Evans is the mastermind behind Super Skivvies. She is mom to a four-year-old little girl, she is a nanny by day and seamstress by night. The customer service at this Seattle-based business is unbelievable. Steph is always quick to answer questions via email or Etsy conversations. You can purchase your own Super Skivvies at their website. Super Skivvies range from $14.95 (for the clearance items) to $17.95. Like Super Skivvies on Facebook. Heart Super Skivvies on Etsy. Visit the Super Skivvies Blog. This is an excellent, hard-cover book that gives you a great sense of both a natural and a scientific explanation as to why you feel the need to care for your child in the way that you so desire. 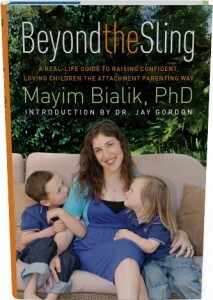 Mayim has compiled both her years of motherhood and her years of curriculum and brought forth a brilliant text called Beyond the Sling: A Real-Life Guide to Raising Confident, Loving Children the Attachment Parenting Way. Mayim’s book is smart, well written, and practical. She shares tastefully taken family photos of herself and her sons as they demonstrate various experiences along their attachment parenting journey. You can purchase your own copy of Beyond the Sling at Amazon. The cost of the book is $26, including shipping. Like the Official Mayim Bialik Facebook page. Check out Mayim Bialik’s website. Like Kissed by the Moon on Facebook. Follow Kissed by the Moon on Twitter. Sign up for the Kissed by the Moon newsletter. Check out the Kissed Cash Rewards program. You can purchase your own copy of Poetry of a Hobo Mama at Amazon and CreateSpace. It’s available internationally and on Kindle through Amazon. The list price is $11.99 for the paperback and $9.99 for the ebook. 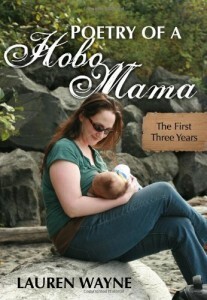 Visit the Hobo Mama blog. Follow Hobo Mama on Twitter. Intensive Repair Oil is a light, natural, and rich oil that is safe to use during pregnancy and breastfeeding for the prevention and treatment of stretchmarks and scars. Avishi Organics was founded by a mother who was disappointed by the lack of chemical-free products on the market for mothers-to-be as well as the lack of therapeutic benefits from natural products available at the time. She combined her desire for a natural product that produced real results in the shortest amount of time. The company only uses 100% natural ingredients that are known for their therapeutic and regenerative effects on skin. All products are safe for mothers and babies and are designed with sensitive skin needs in mind. 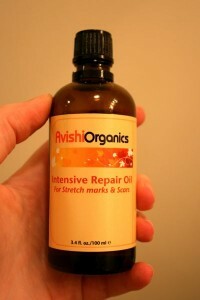 You can purchase your own Avishi Organics Intensive Repair Oil at Avishi Organics. Each 100mL bottle costs $38.50, and the company ships within the US and internationally. Read the Avishi Organics Blog. Making Mama’s Milk & More is a small business started by a real mother that experienced milk supply problems herself. She wants to help other women avoid this pitfall of nursing relationships. They make their cookies by hand; no factory processing here! 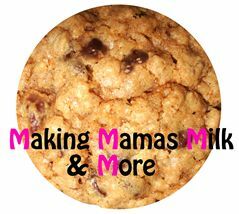 You can purchase your own 30 days supply of Lactation Cookies at Making Mama’s Milk, for $45 excluding shipping. And, when ordering a subscription you get 40 cookies instead of 30 per month and FREE shipping. Like Making Mama’s Milk & More on Facebook. Visit the Making Mama’s Milk & More website. Follow Making Mama’s Milk on Twitter.